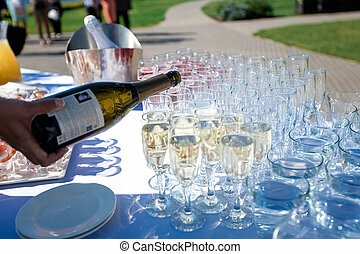 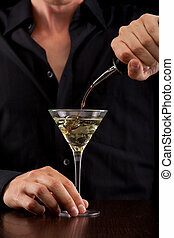 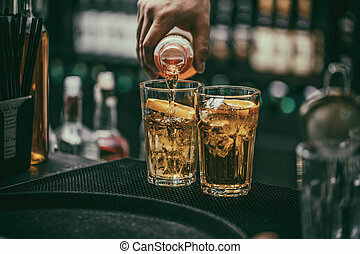 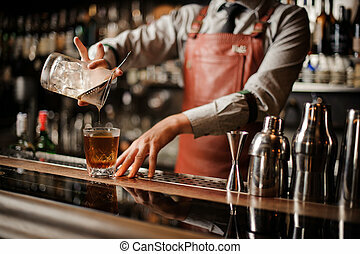 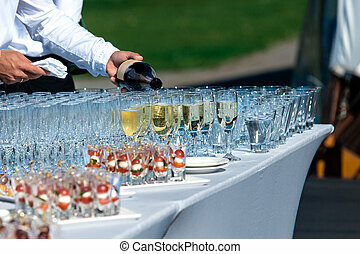 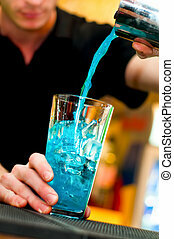 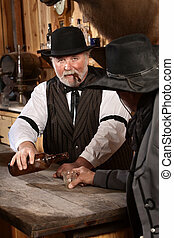 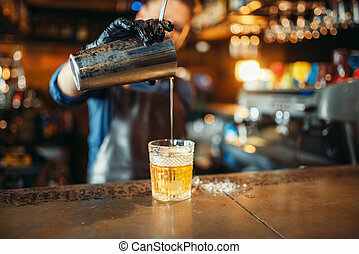 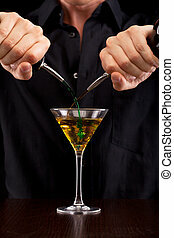 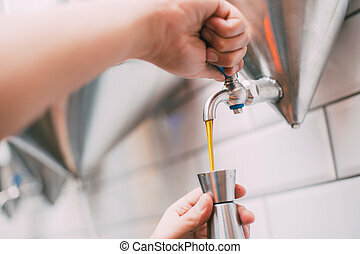 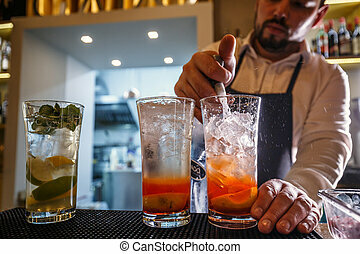 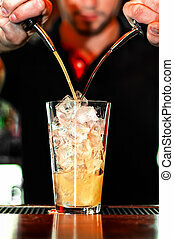 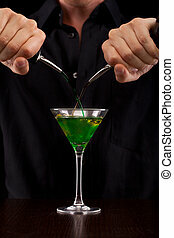 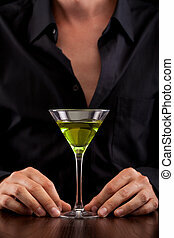 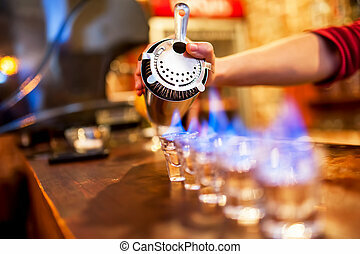 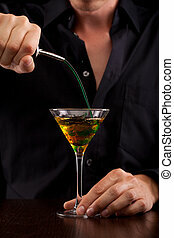 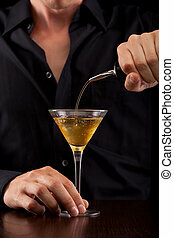 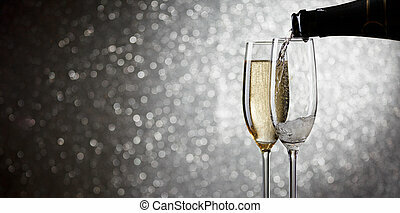 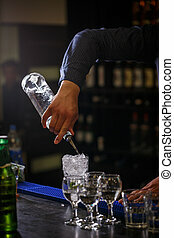 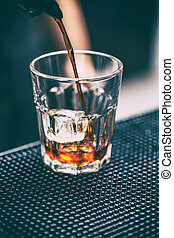 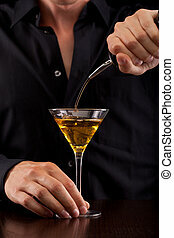 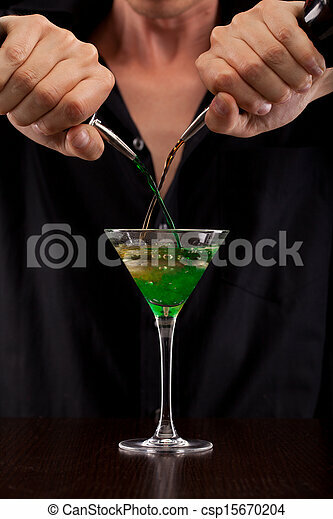 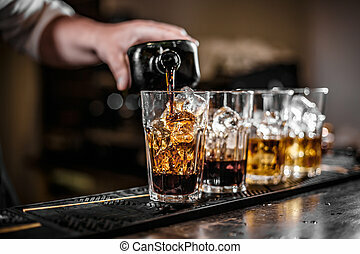 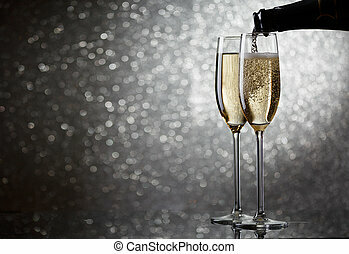 Bartender pours drink. 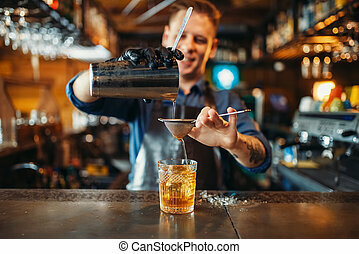 Bartender pours alcoholic drink into cocktail glass. 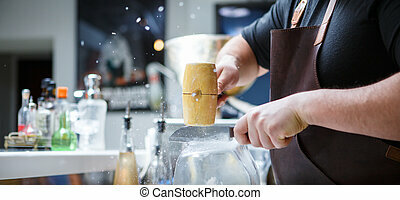 Bartender mannually crushed ice with wooden hammer and metal knife.